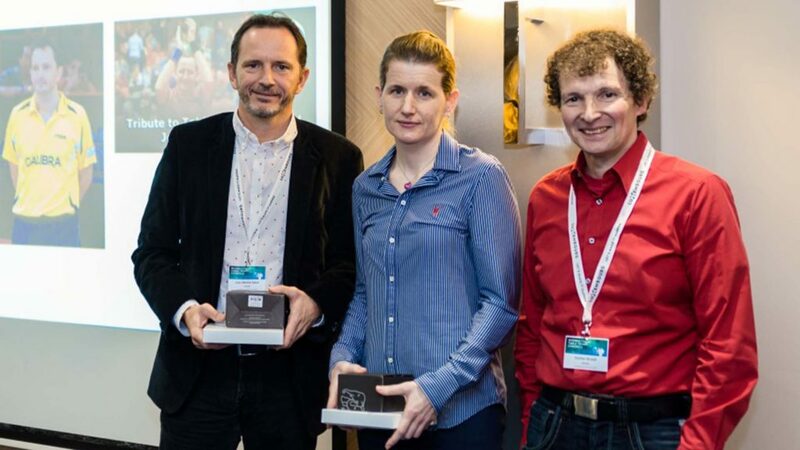 Highlight of the annual series of events organized by the Luxembourg Academy of Sports Medicine, Physiotherapy and Science, the first international table tennis congress, linking practice and science was recently staged. The itinerary commenced on Friday 23rd November and concluded on Saturday 24the November. Venue for the whole proceedings was the Novotel on Kirchberg, situated in the north east of the city; the inaugural event being made possible thanks to co-operation between the China Table Tennis College Europe and the Luxembourg Institute of Research in Orthopedics in liaison with Luxembourg Sports Medicine and Science, the Luxembourg Table Tennis Federation and the Luxembourg Institute of Health. Locally matters were directed by Eric Besenius from the Sports Medicine Research Department of the Luxembourg Institute of Health, presiding over the meeting was Professor Axel Urhausen, MD, PhD a highly respected scientist and leading member of several prominent organisations in Luxembourg, including the Olympic Medical Centre. Daniel Theisen, Christophe Meyer, Romain Seil, Martin Ostermann, Patrick Massen and Guy Schmit completed the Organising Committee. Overall a total of 75 members ranging from coaches to physical trainers, medical staff, sports scientists and players attended, representing 13 countries. Notably present for the occasion was Belgium’s Jean-Michel Saive alongside Croatia’s Tamara Boros, both personalities with a wealth of experience and always prepared to share their extensive knowledge at what proved a most well attended gathering. 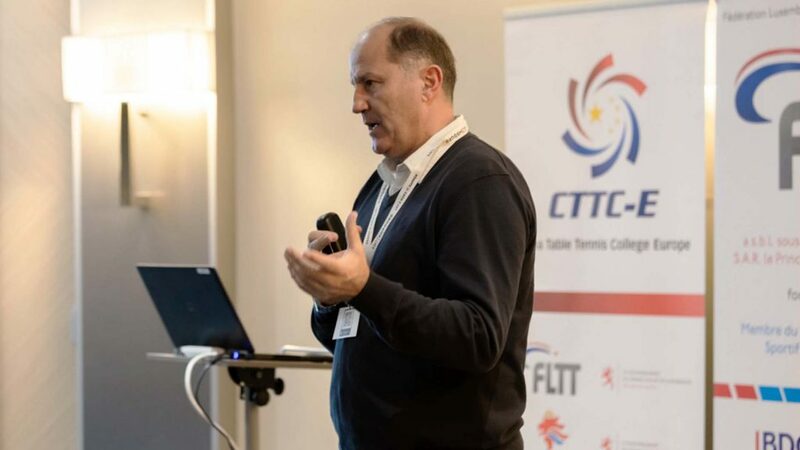 In addition Miran Kondric, PhD, Chair of the ITTF Sports Science and Medical Committee, addressed the gathering as did Patricia Thoreux, MD; Ivan Malagoli Lanzoni, PhD and Martin Lames, PhD. Also, Zoran Djokic, PhD, Alli Gokeler, PT, PhD and Andreas Mierau, PhD all renowned experts in the own field and possessing high positions at major universities spoke at the meeting.